Hong Kong will celebrate Chinese New Year this week and next. Our office will be closed Friday 16 February until Monday 19 February. We will reopen as usual on Tuesday 20 February. Please see our Contact page for further details. 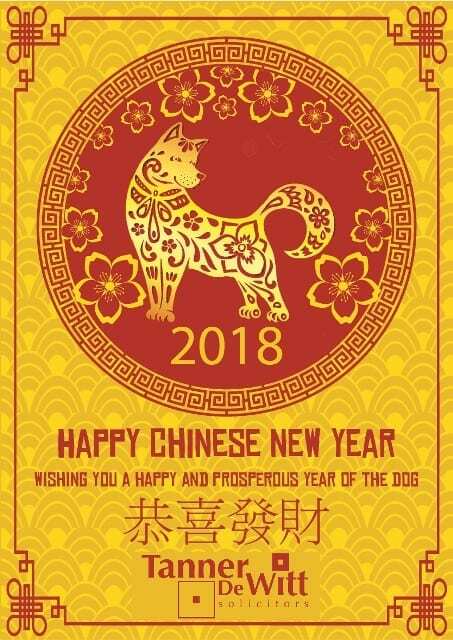 The team at Tanner De Witt wishes you a Happy and Prosperous Year of the Dog!